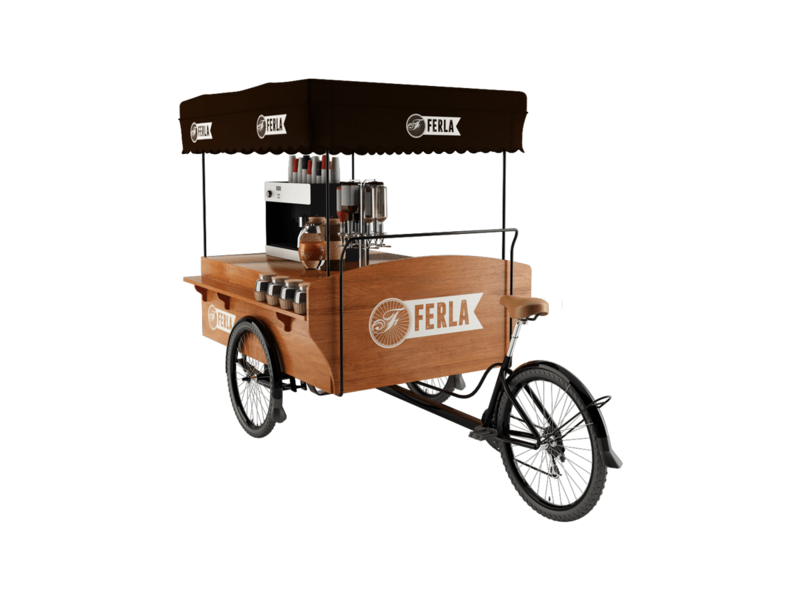 Combining style and mobility, Ferla Bikes are better than any other vending bike or coffee cart for sale. Focusing on aesthetics, innovation, and affordability are what makes our products different. 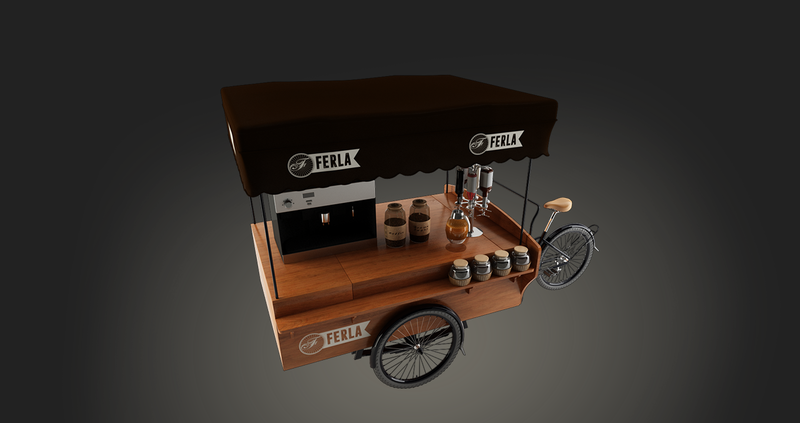 Combining style and mobility, Ferla 2 is the perfect vending bike to start your Mobile Cafe Business. 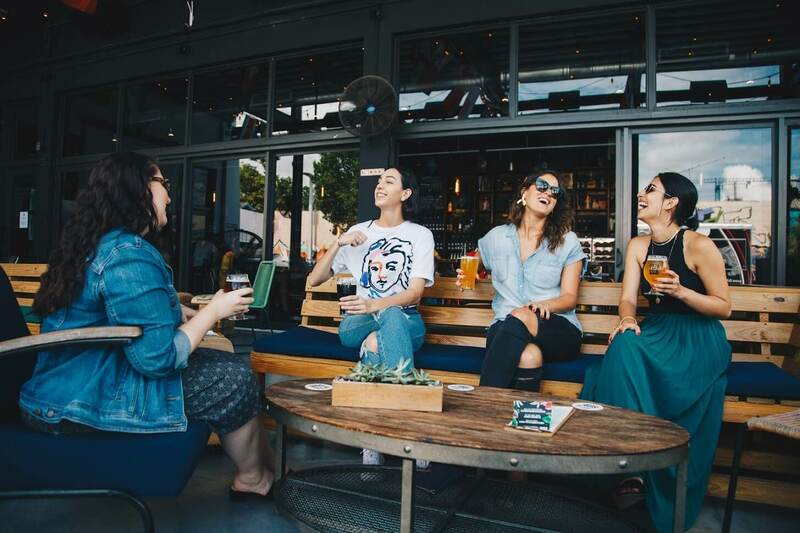 Ferla’s first kegerator-equipped cold brew bike for sale is the ideal solution for those looking to serve nitro cold-brew coffee, kombucha, soft drinks, beer, and more on tap. The Most Sustainable Coffee Bikes In The World: Ferla 2, Ferla Grande, Ferla Mini, & Ferla Cold Brew. 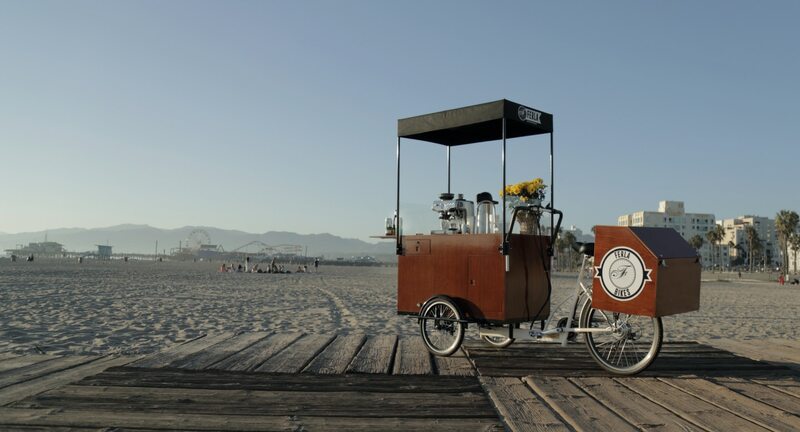 A fully electric cafe on wheels, our coffee carts are specialized to meet your requirements as a mobile cafe. 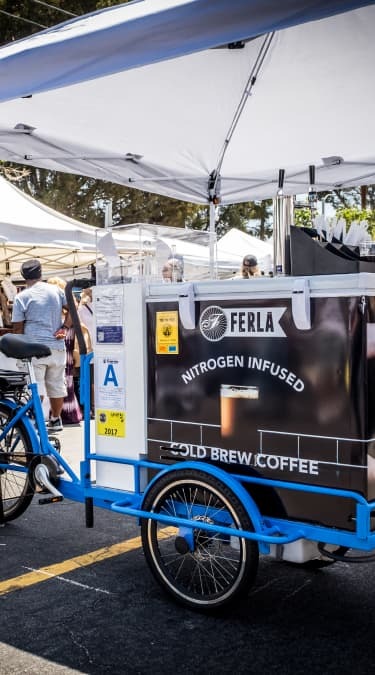 Our offerings include a sink equipped vending bike, the option to upgrade to pedal assist, and plenty of storage in every vending bike we make.Whether you plan to start a mobile espresso bar, or sell cold brew via kegerator equipped vending bike, it’s made easier with Ferla. 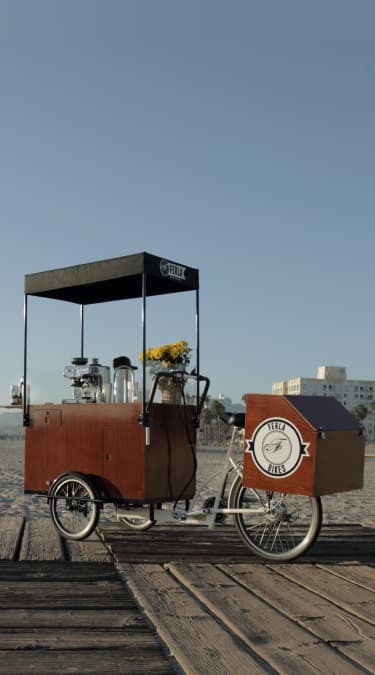 Start your very own mobile coffee business using the most innovative & affordable vending bike in the world. Contact us today to set up your order. Ice cream is an innovative business, with shops selling nitro-freeze and rolled ice cream always popping up. However, the equipment for the ice cream industry is not always as innovative. 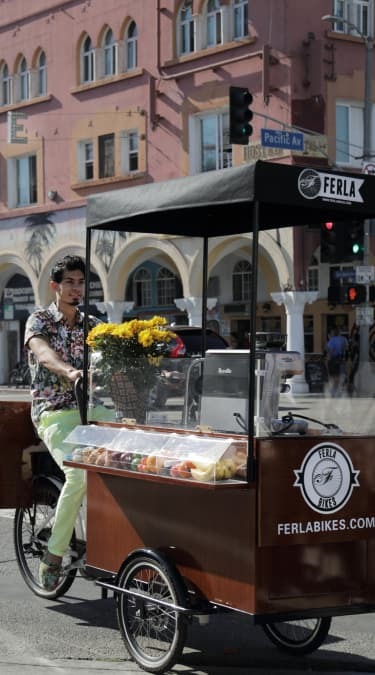 Ferla Ice Cream is a fully self-powered ice cream bike – instead of having to rely on unreliable dry ice, Ferla Ice Cream uses a rechargeable battery to keep your product cold, whether you run an ice cream cart, gelato cart, or popsicle cart. 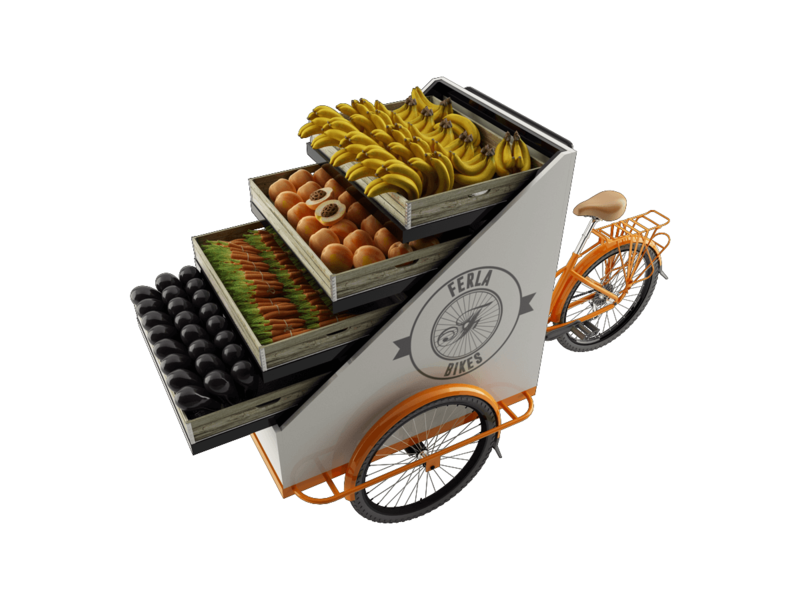 Plus, with convertible freezer-to-fridge settings, you can also start a fresh juice cart, beverage bike, fruit cart, or mobile deli with Ferla Ice Cream/Beverage Bike. 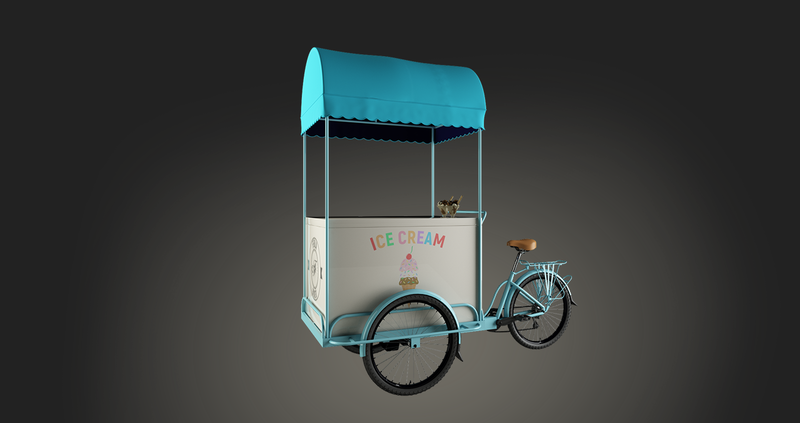 With the Ferla Ice Cream Bike, starting your own mobile ice cream business is made easy – no need for an ice cream truck or expensive brick and mortar location. Contact us today to start your Ice Cream Business! 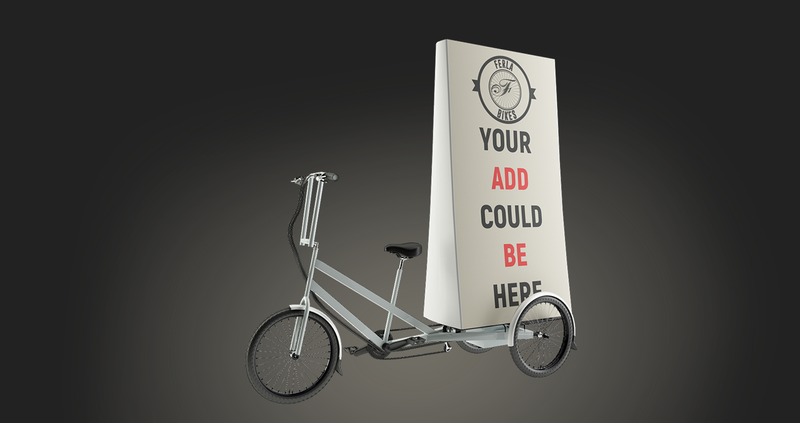 Ferla Promo is our first advertising bike, designed for all of your experiential marketing and product sampling needs. 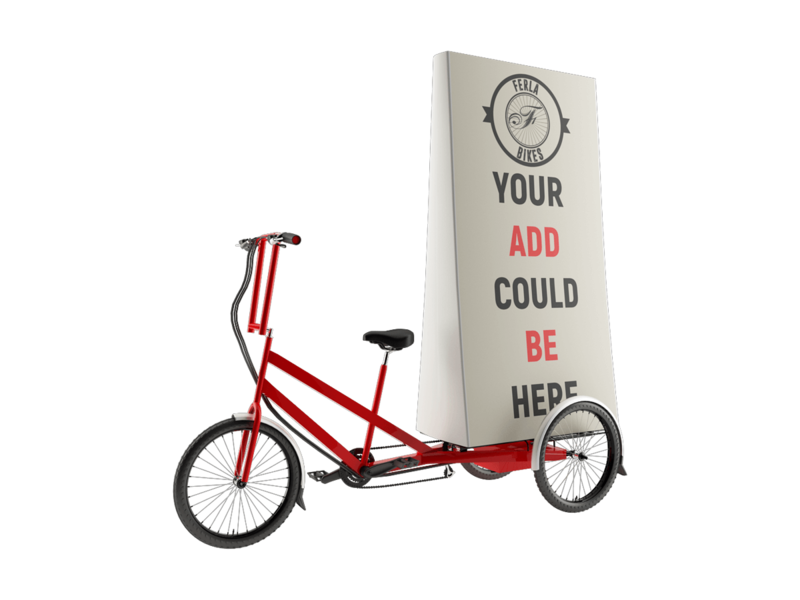 Our first billboard bike, Ferla Promo is designed as a way to advertise your product without shelling out several thousand dollars at once for your ad budget. Our eye-catching promo bike stands out from the crowd in a way like no other. During operating hours, 73% of visitors and locals were able to recall seeing our peddling billboard during their visit. No longer will your potential customers suffer from ad blindness! Ferla Promo is an affordable addition to your current and future guerilla marketing campaigns. 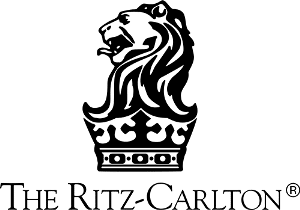 Reach out to us today to learn how to rent or buy for your next marketing event. Finance your bike as low as $99/ month. Amazing right!? At Ferla Bikes, we strive to be Creative in everything we do. Well, It’s time to build the Business of Your Dreams! Coffee Bikes are our passion at Ferla Bikes. 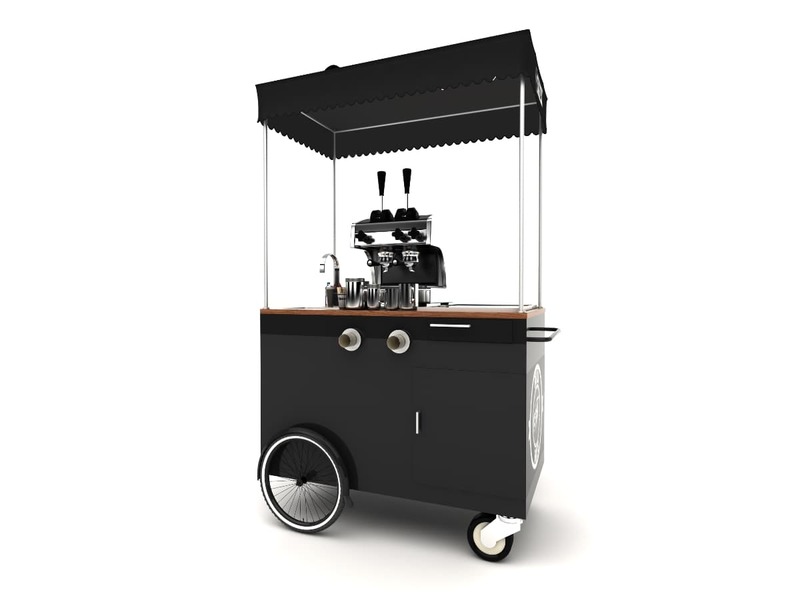 A fully electric cafe on wheels, our coffee carts are specialized to meet your requirements as a mobile cafe. Our offerings include a sink equipped vending bike, the option to upgrade to pedal assist, and plenty of storage in every vending bike we make. Whether you plan to start a mobile espresso bar, or sell cold brew via kegerator equipped vending bike, it’s made easier with Ferla. Ice cream is an innovative business, with shops selling selections such as nitro-freeze and rolled ice cream always popping up. However, the equipment for the ice cream industry is not always as innovative. 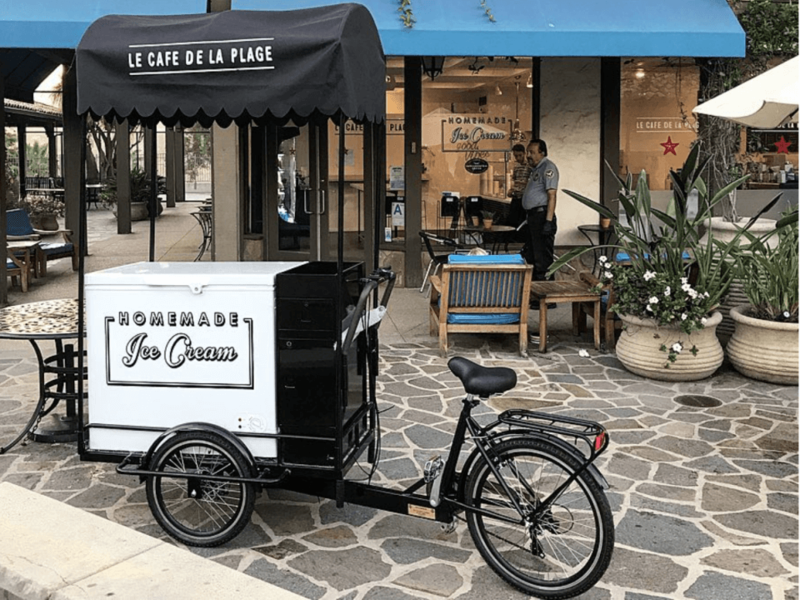 That’s why our ice cream bikes are fully self powered – instead of having to rely on dry ice, we use a rechargeable battery to keep your product cold, whether you run an ice cream cart, gelato cart, or popsicle cart. 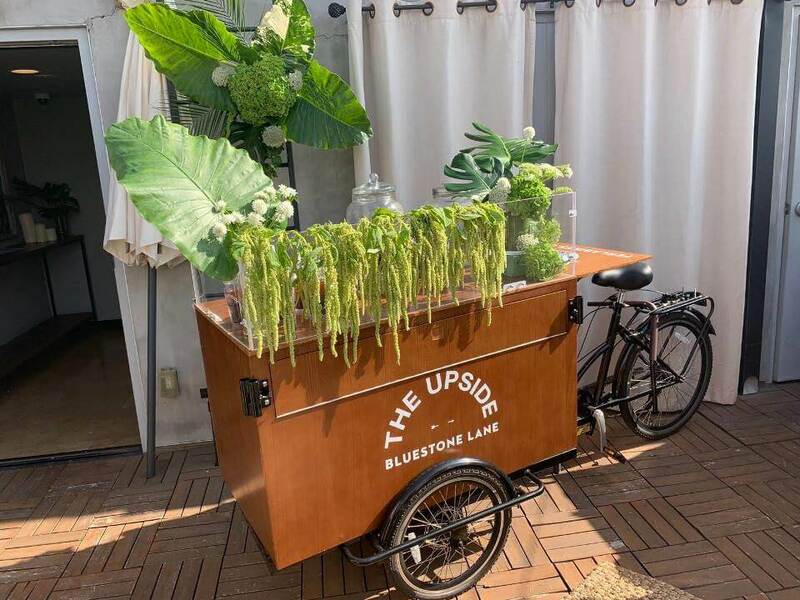 Plus, with convertible freezer-to-fridge settings, you can also start a fresh juice cart, fruit cart, or even mobile deli with our refrigerator and freezer equipped bikes. 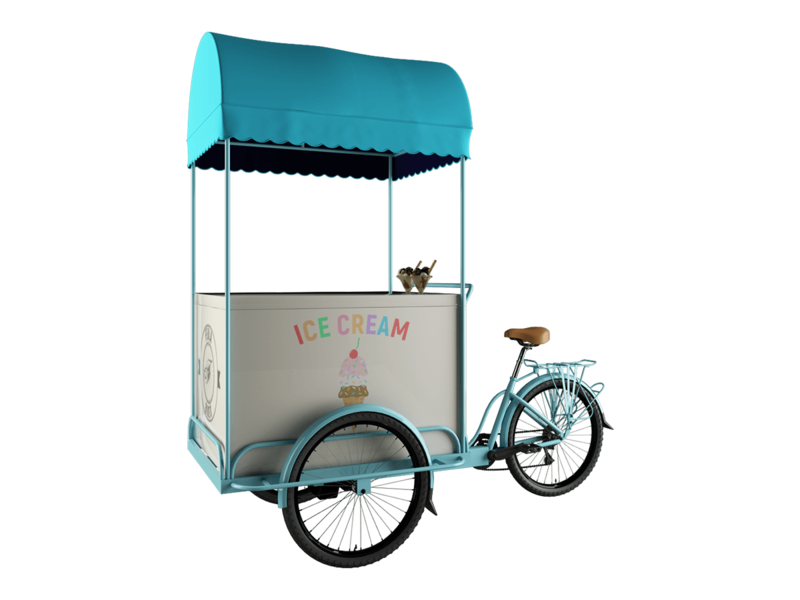 With a Ferla ice cream bike, starting your own mobile ice cream business is made easy – no need for an ice cream truck or expensive brick and mortar location. Contact us today to start your order! Ferla Bikes are great for all of your marketing and advertising needs. Our advertising bikes have been used in several campaigns for businesses large and small. Ferla Promo, our eye-catching billboard bike, stands out from the crowd in a way like no other. During operating hours, 73% of visitors and locals were able to recall seeing our peddling billboard during their visit. No longer will your potential customers suffer from ad blindness! Using a Ferla Bike is a smart and cost-effective way to generate brand awareness and gain new leads for your business. 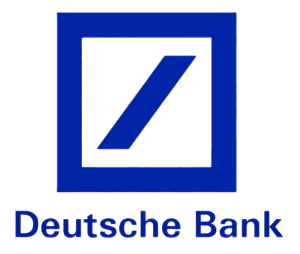 Reach out to us today to learn how to rent or buy for your next marketing event. Ferla Bikes has helped several non-profit organizations, such as hospitals, botanical gardens, and charity organizations in the past with building concession bikes that will bring joy to their visitors. Reach out to us today to learn how to purchase a Ferla Bike and use as a concession stand for your own non-profit. Wanna know what the best part of a Ferla Bike is? We keep versatility of use in mind. 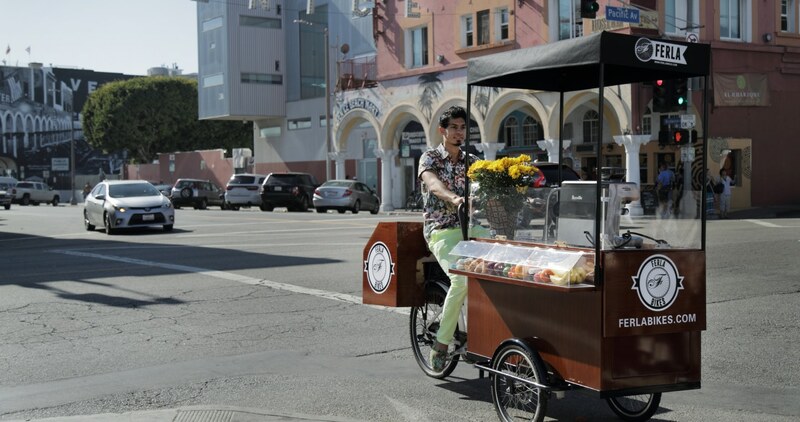 Whether you want to start a mobile taco cart, mobile deli cart, or hot dog cart business, you can do so with your very own food vendor bike from Ferla. Ferla Bikes offer the essentials of a mobile kitchen – sink, fridge, counter-space, etc. 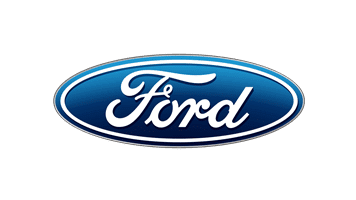 – and allow you the freedom to create whatever type of restaurant on wheels you please. 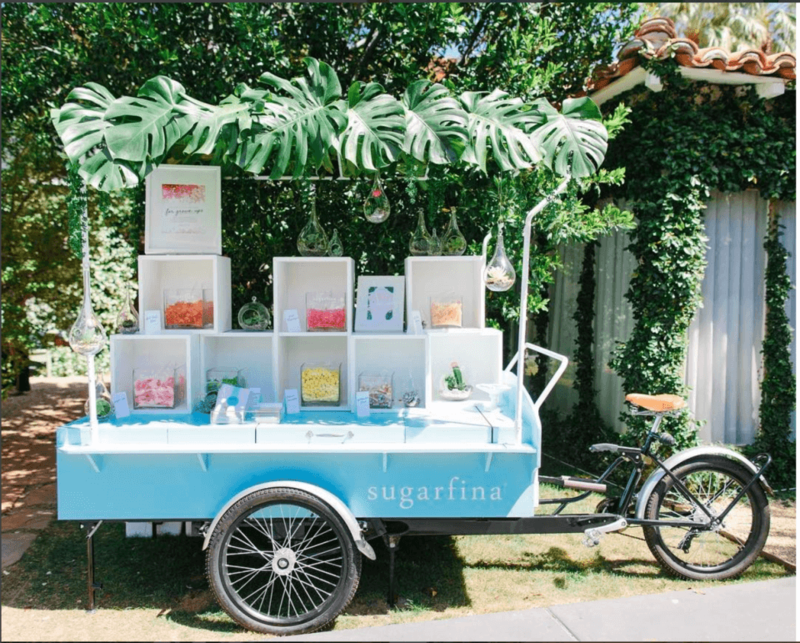 Check out our full fleet of vending carts, or if you’re ready, reach out to us to learn how to purchase! Starting out small doesn’t have to be limited to the restaurant industry. 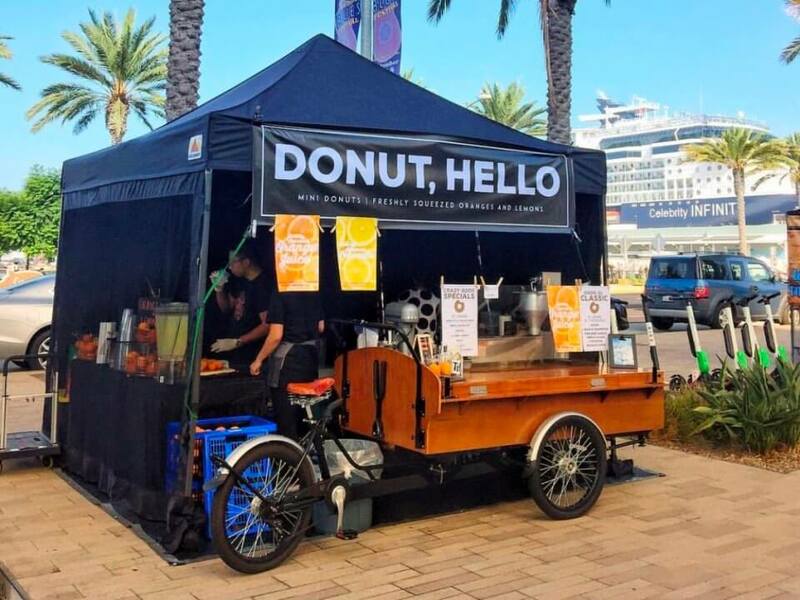 Starting your mobile boutique or gallery with a Ferla Bike is a smart decision – you won’t have to pay rent, or use gasoline & pay insurance for a vending trailer. You could use the Ferla Vendor as a mobile jewelry display for your own unique creations. Ferla Grande’s extensive storage space is perfect as a merchandise bike for selling shoes and hats. Our display carts could even serve your needs as a mobile gallery for your art or photography. 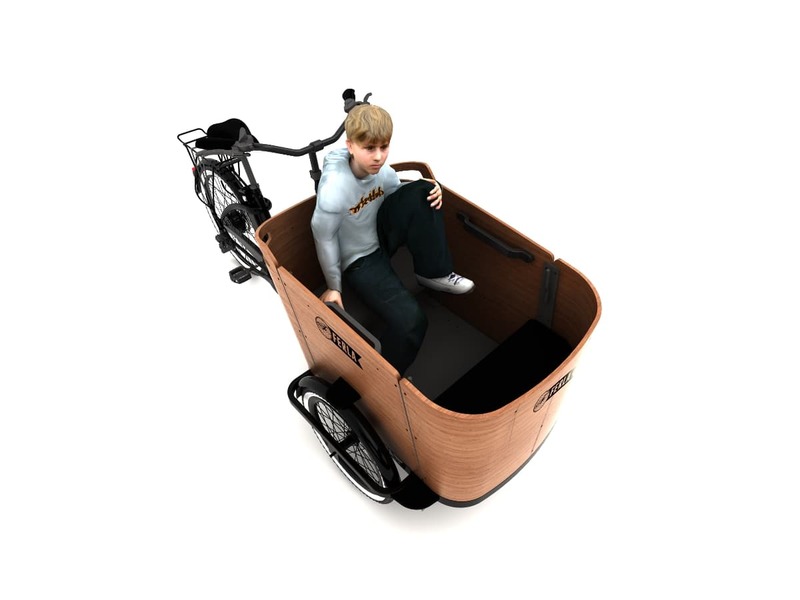 Check out our full fleet of mobile display bikes, and contact us today to learn how to order. Have you been looking for a unique and creative way to serve your hotel guests poolside? Or maybe you’re in need of a stylish and functional catering cart for your restaurant’s catering venture? Look no further – Ferla offers a full fleet of bikes perfectly crafted for catering. 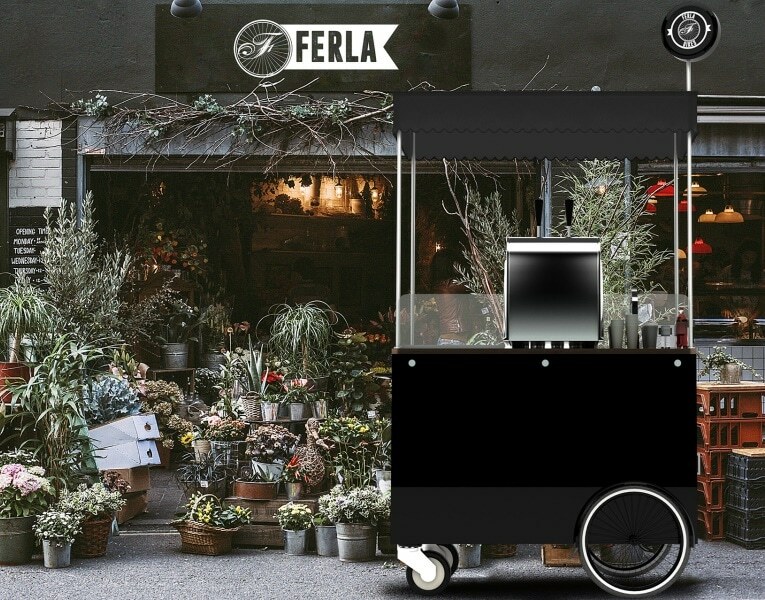 As a mobile kitchen on wheels, your Ferla Bike can be used for a multitude of different catering activities. 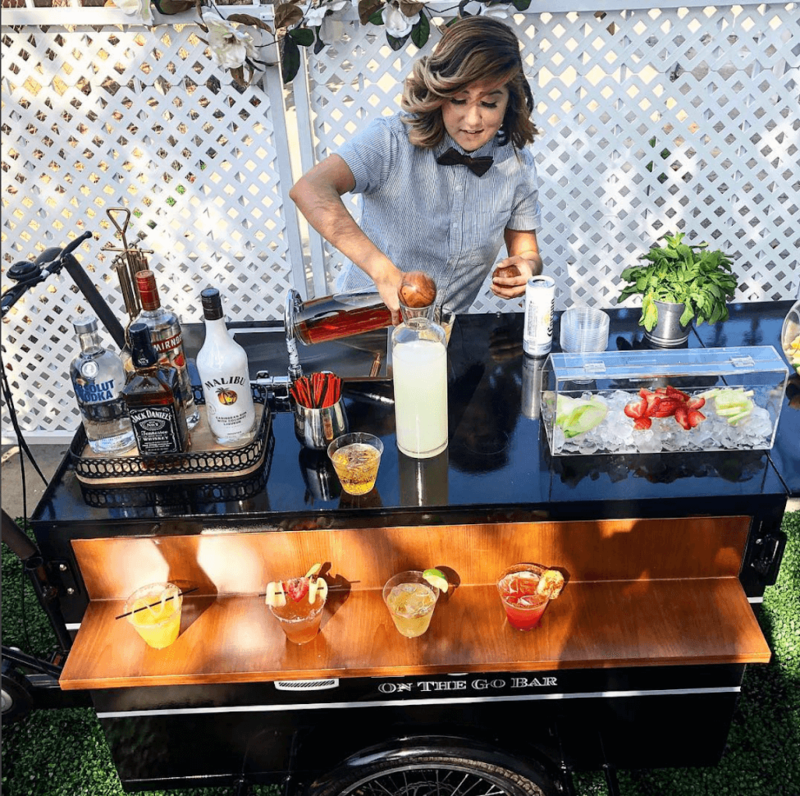 Create a mobile bar and taco stand for your cantina, or use your bike as a poolside catering cart for your hotel or resort. 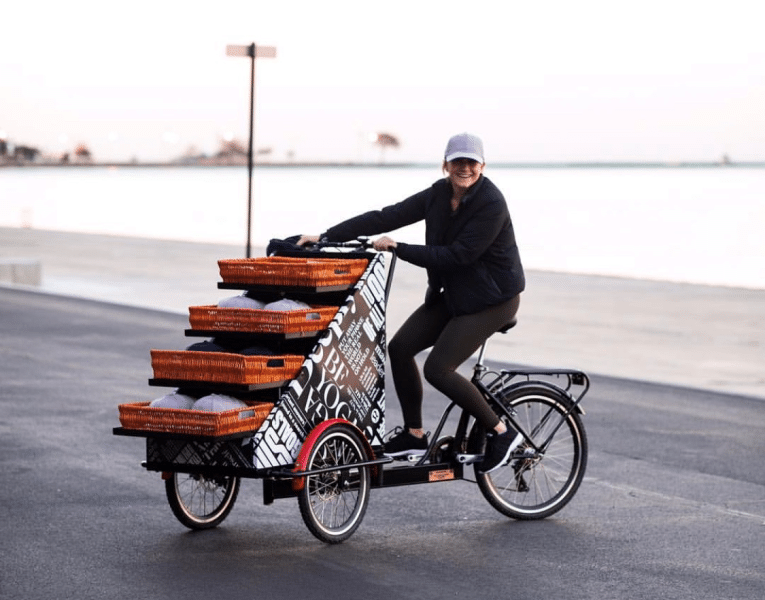 Reach out to us to learn more and purchase your very own Ferla catering bike! 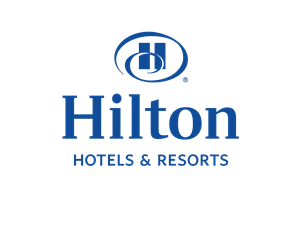 Bring Us To Your Event – Vending Bike Rentals Available! Need a bike for your weekend event, but not much longer than that? 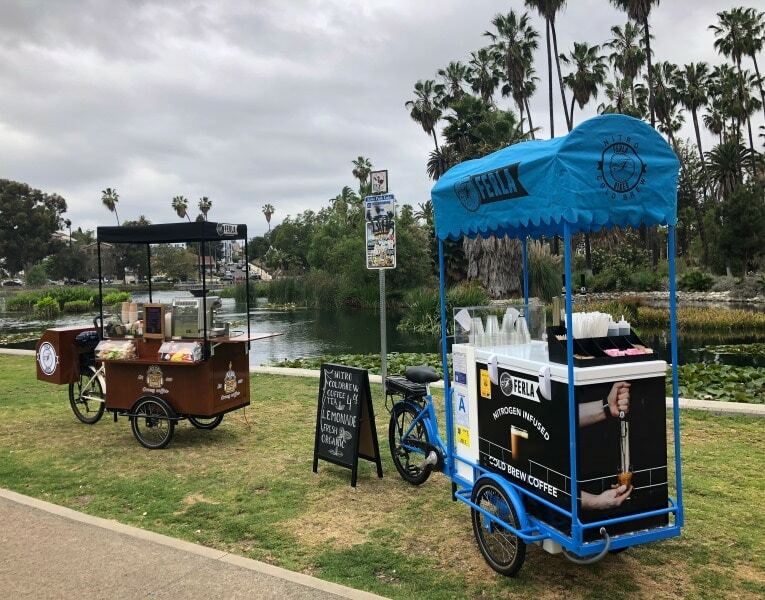 Not to worry – vending bike rentals from Ferla Bikes are available in Los Angeles and its surrounding regions! 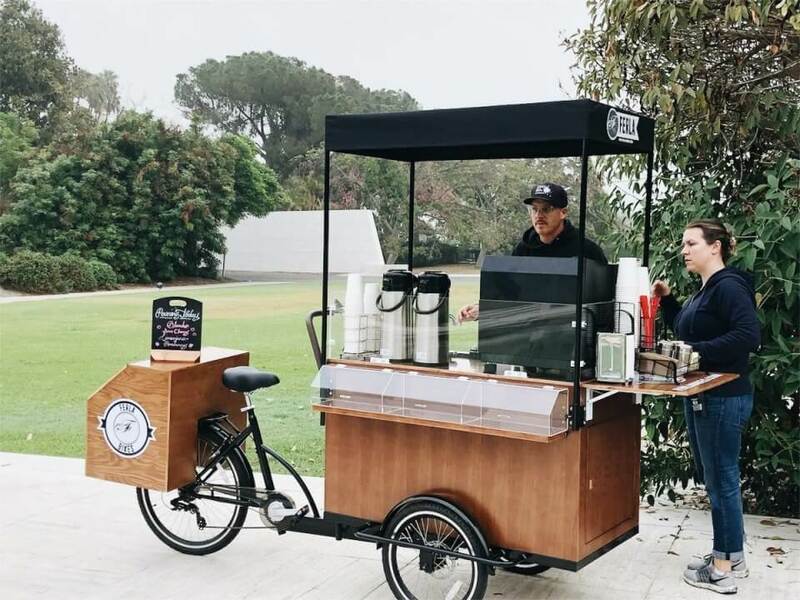 Use our bike as a mobile catering bar for your wedding, or feature it at your corporate event as a mobile espresso catering cart. With customizable branding options available, your bike will even fit in perfectly with your event’s awesome theme! Reach out to us today to learn how you can rent a Ferla Bike for your next event. Ferla Bikes Bring Your Brand To Life! 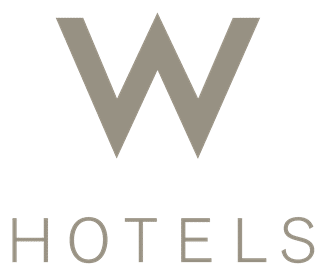 Looking to create a brand experience like no other for you or your client? Well, look no further than our brand sampling bikes at Ferla! Our bikes are perfectly crafted for product distribution, making your next guerilla marketing campaign an ease. 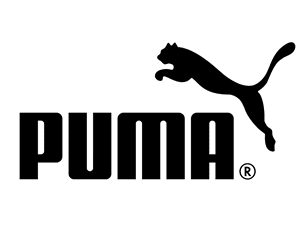 Plus, you can customize your bikes branding and create a fully-immersive experience – check out some awesome examples here! Learn how to rent or buy a product sampling bike from Ferla Bikes for you or your clients next big marketing move today! New business idea? We’ve got you covered. Whether you’re a start-up, or already established, there’s a solution for you at Ferla Bikes. 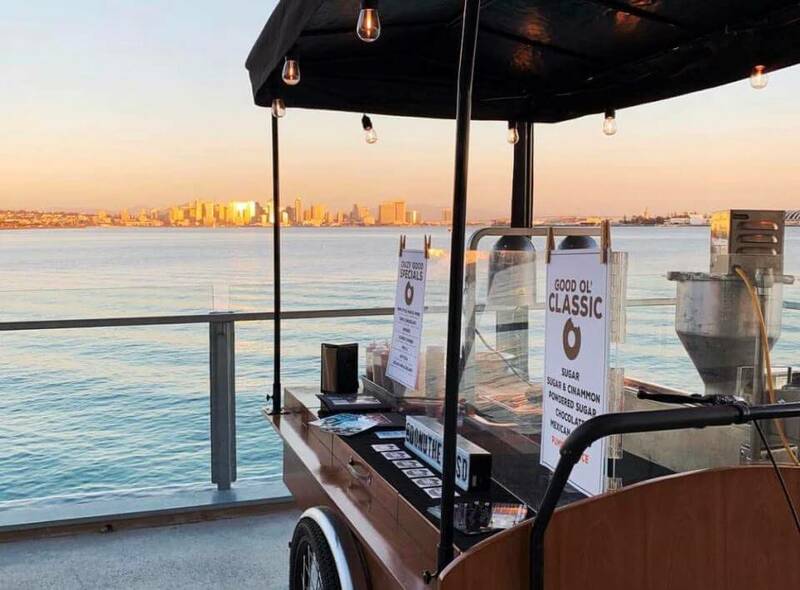 We’ve worked with catering business owners on weddings, with event coordination teams on fun experiential marketing campaigns, and with aspiring entrepreneurs on starting their own coffee cart or ice cream cart business from scratch. Ferla Bike’s owners come from all sorts of backgrounds. 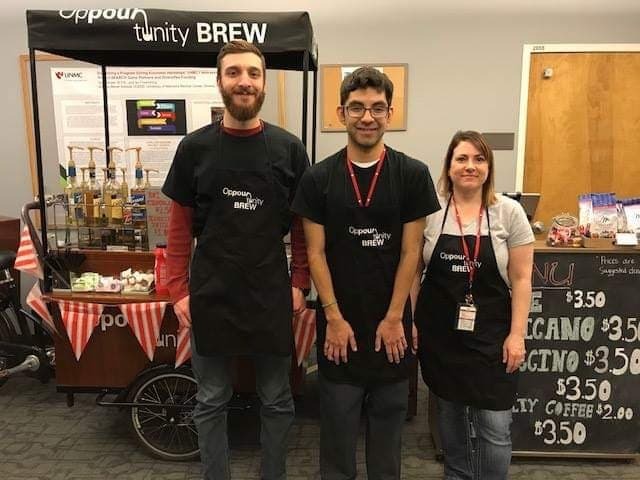 They’re the start-up cafe owner who doesn’t want to pay for brick-and-mortar, the established restaurateur who is looking to expand into catering, and the experiential marketing firm looking for a fun way to bring their client’s brand to life. While they’re all very different from each other, what they all share is a passion for solutions that will help their business stand out from the crowd, and Ferla’s unique vending bikes are a big part of that solution. 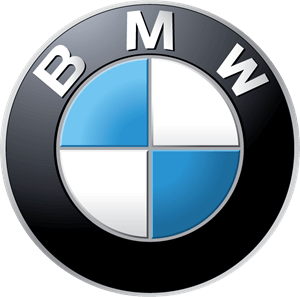 We keep our client’s businesses in mind when creating our products. Every step of the start-up process is considered – health department approval, strong and reliable equipment, and branding requirements. Because of this, Ferla Bikes are the easiest way to start, market, and run your own business! 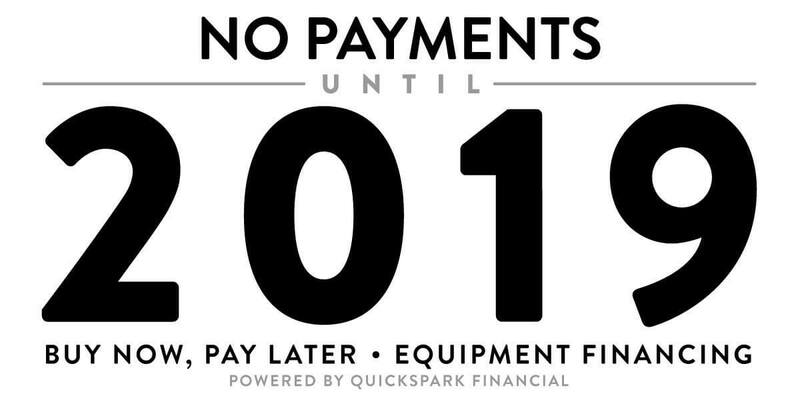 No Payments Until 2019: The Time To Finance Your Ferla Bike Is NOW!